There are several ways in which you might find or locate your HVAC contractor. No matter which way you choose to find your local HVAC service provider it depends ultimately on how much home work you do to make sure the service provider is who they say they are and will do what they say they will do. This day and age anyone can say anything and often times they do. One way you could go about finding an HVAC service provider is by using a 3rd party locator service. While using a 3rd party service is convenient and easy as pie it doesn’t really vet the service provider necessarily. Reviews on such sites of the service providers can in some cases be manipulated and controlled, even though they say they are not. Finding the truth the hard way is not recommended. Do your homework, it’s why you are here right? Why Would A Third Party HVAC Company Locator Service Lie? Money. The third party service has a motivation by collecting advertising fees of the AC service providers they list on their site. So if the third party listing service lists unfavorable reviews of a HVAC company that spends a lot of money in advertising with them, why would that HVAC company want to keep spending advertising dollars on that site? It’s really no different than the game that the BBB was caught up in years ago, by collecting fees and erasing bad reviews and turning F’s into A+’s. It’s about collecting fees and little else. The end user (customer) has little recourse to do much of anything, other than call the company with a complaint and try to get them to do something to fix the problem. What Are Some Popular AC Listing Service Providers? Angie’s List, Home Advisor (formerly Service Magic), and Yelp to name a few. There’s certainly more than this but there is rarely much difference between them because they generate their revenue by selling ads of the companies they list or charge fees via other methods by producing and distributing leads to the companies that listed with them. There is no method, no matter how these hosting companies are set up that isn’t complicated by potential fraud from one degree to another. It matters not one bit how they collect the fee. Angie’s list originally was noted as being less geared toward the company and more geared to the customer. Problem with that method is that they lost a lot of money. So they have since shifted gears and the advertising revenue ‘conflict of interest’ method was generated out of a need to survive. Angie’s list still collects fees via the customer route as well, but that is likely a very small revenue stream. A listing service (any of them) is likely going to give precedence to their biggest advertiser. This advertiser whomever it is, is spending a lot of money. This money has to be made up somewhere. Who do you suppose pays for it? Any service business in which the service provider comes to your home is a costly business to be in to begin with, even before the advertising costs. 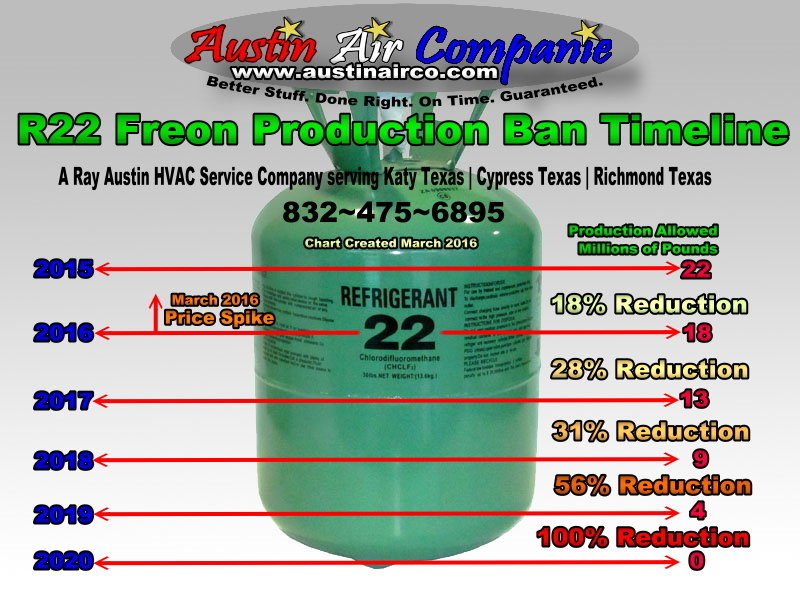 Austin Air Companie is a small HVAC business a one man operation. I run it myself and do everything from repairs, to new equipment installations. Yes, I’ve installed complete systems by myself. From merely an expense point of view I often have thousands of dollars in expenses every month. Realize I said $1,000’s much more than what someone would think looking in from the outside without a service company perspective. These expenses do not include paying myself anything. To make the customer aware of the games and tricks of advertisers and those of whom they represent. A single man, a one man show — Austin Air Companie — has proven that none of these worthless gimmicks are needed to run a HVAC Service Company. You know what I’ve learned? You can not be something you’re not. There is only one Ray Austin. Sell that to the best of your ability. Service as well as service quality sells itself. Check me out. My foot print on the internet is larger than ever. More than 99% of my content was made by: ME (Ray Austin if you’re hard of hearing, LOL) Subscribe to my You Tube Channel here. All of the videos on my You Tube Channel were made by me. I don’t follow the grain when it comes to these things — I go against the grain. If I have to sell you something using a flashy gimmick, I would rather not. I would rather warn you against such things. Hype doesn’t last. An HVAC system is designed to last approximately 15 years. This is the national average replacement timing. Now what do you suppose hype does to HVAC replacement timing? My goal is to give you less hype and surpass your expectations rather than give you more hype to wind up giving you nothing but frustration. HVAC service for life. That’s a tall order to fill, isn’t it? Do you want anything less? Thank you for visiting with me today. I hope you learned something and as always, I hope your day is comfortable. for your home visit me at my main website.